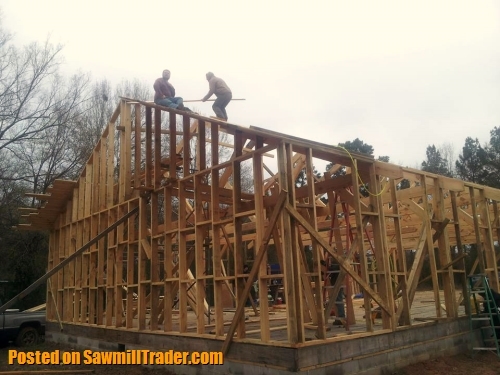 We cut lumber orders for wholesale needs and provide small quantity mill direct retail orders to individuals. We cut a wide variety of hardwood & softwood lumber orders. 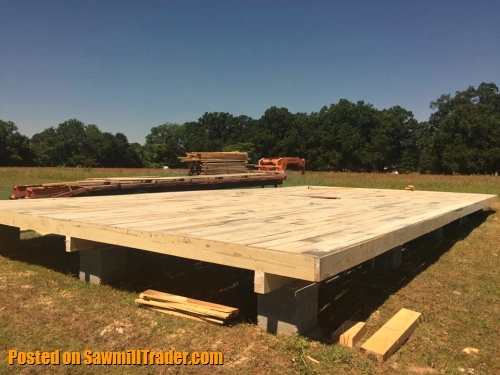 These include furniture grade lumber, wide table / countertop / slabs, solid desk tops, mantles, flooring, siding, molding, beams, timber frame materials, new construction framing lumber, oak trailer decking and much more. 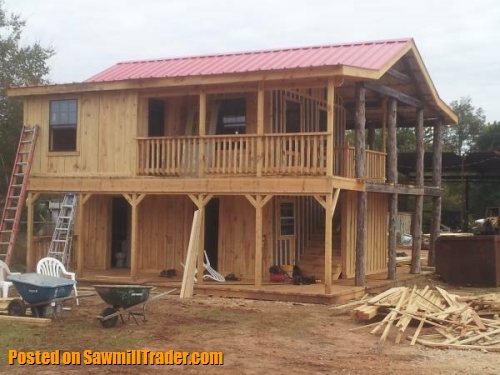 - We produce and sell profile shaped and jointed lumber as molding, siding and flooring. Orders are cut from our logs or yours. Pine, cedar, oak, and sweetgum are our mainstay but we cut any species available. East Texas has some very fine quality wood. We cut diverse oak species ( red oak, post oak and white oak) black walnut, hickory, pine, cedar, cypress, sweetgum, elm, sycamore, hackberry and other wood species as they are available. woodworking hobby materials, planters, raised beds, garden structures, nursery benches, livestock pole buildings, chicken coops, cattle and stock grain feed hoppers, salt / pasture supplement covered trough, bee boxes, hive stand, fascia roof edge boards, 1 x 4s for sheet metal underlayment purlins. -- You are welcome to bring us your own logs and we will cut them for you. We charge $0.35 a board foot for straight standard sized pine, $0.40 a bd ft for cedar and $0.50 for oak. We can cut any species and are able to cut bent logs for a higher cost. We have a band mill that can cut 30 inch logs that are short all the way to 32 feet long. Instead of board foot price, we also can cut these normal sized logs for a customer at $100 an hour. We have a specialty wide throat band mill that can cut 46 inch wide logs. This allows of us to cut large and odd shaped logs that are up to 14 feet long. We charge $150 an hour to cut customers logs with our wide throat mill. We charge $30 if a blade hits metal in the log. We have other mill equipment as an industrial production scragg mill circle saw, resaws and board edgers for processing lumber. We also can resaw used, reclaimed and salvaged beams into dimensional lumber. The lumber is cut rough cut. We can plane, sand or send your lumber through our wood shaper molder for an additional price. Call for more details. 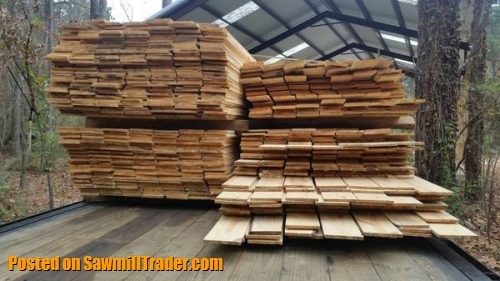 $ $ $ - We offer good mill direct prices to the public. If you would like pricing you may check out our web site www.CustomCutLumberMill.com under the tab 'pricing'. Here you can find a PRICE SHEET to figure out costs for most of the lumber we offer - beams up to 32 feet long, framing lumber, siding, v - joint paneling, flooring, cedar decking, trailer decking, fence posts, peeled logs, cedar half round slabs and sliced round tree cookies. Some of our services are also priced out - sawing customers logs, sanding, applying polly and kiln drying. We also can run a customer's own dry boards through our wood shaper. $ $ $ - On our web site under the tab 'pricing' we have designed a specially built PRICE CALCULATOR. 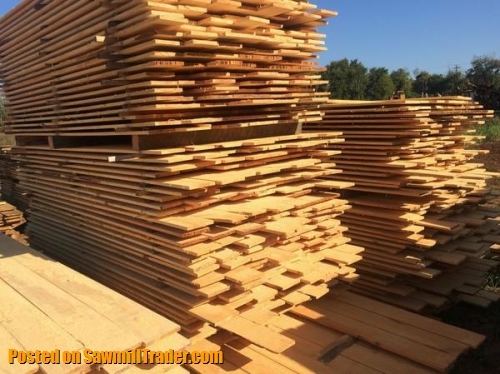 With this one of a kind tool, you can type in the quantity of one or more types of lumber you are looking at and figure out how much your looking to pay for your order. $ $ $ - Also on the web site under the tab STORE we have high quality dry cured walnut, pecan, hickory, cedar, oak, pine and other wood wide slabs for sale. These are good for tables, desktops, countertops, benches, coffee tables, sink surrounds, stair treads, shelves, sign boards, taxidermy mounts and furniture. There are a number of slabs listed with their pictures, dimensions and prices. This is only a small portion of the dry slabs we have on hand. 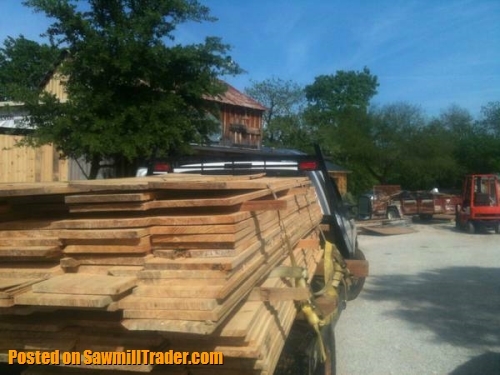 We also have many mesquite and other slabs for sale that are in the process of drying. $ $ $ - Feel free to also call us to get pricing on your desires. We are very flexible and are willing to seek to fill unique requests. Wholesale inquiries welcome. We are located at 145 CR 2423, Alto, Texas (South of Tyler, TX / West of Nacogdoches, TX). Alto is positioned right along the Highway 69 route halfway between Dallas and Houston. 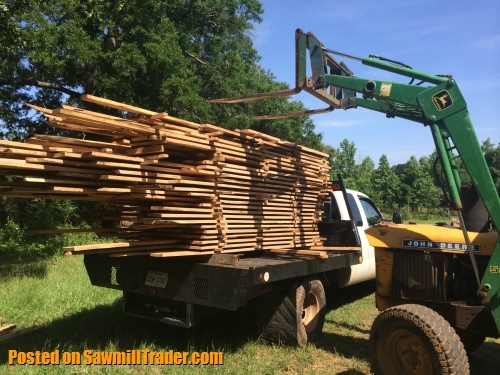 East Texas is one of the best wooded areas of the state and grows some very fine quality wood which we are pleased to provide mill direct to the public. We supply customers in the local towns and cities of Dallas, Fort Worth, Denton, Plano, Garland, Mesquite, Arlington, Irving, Abilene, Sulphur Springs, Texarkana, Mount Pleasant, Tyler, Mineola, Lindale, Kilgore, Longview, Marshall, Henderson, Carthage, Shreveport, Athens, Corsicana, Jacksonville, Palestine, Crockett, Rusk, Bullard, Wells, Nacogdoches, Mount Enterprise, Timpson, Center, Huntington, Zavalla, Diboll, Corrigan, Woodville, Lufkin, Beaumont, Killeen, Jerrell, Austin, Temple, Round Rock, Lakeway, San Marcos, New Braunfels, San Antonio, Seguin, Victoria, Sweeny, Corpus Christi, Huntsville, Livingston, Conroe, Houston, Lake Charles, Seabrook, Galveston, and more. We serve the nearby states of Oklahoma, Louisiana, Tennessee, Arkansas, Alabama, Mississippi, Kansas, Missouri, New Mexico, and Colorado and can send trucks anywhere in the lower 48 states. On our web site you can read details and scroll through hundreds of lumber pictures showing what we produce. 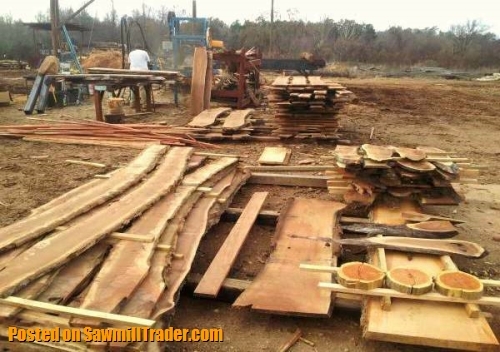 Things can get busy at a sawmill! We do value our customers. If you call and don't get an answer please leave a voice message and we will get seek to get back with you as soon as possible.